ASUS, No.1 laptop brand in Europe, has announced the pricing and availability of ZenFone family of smartphones for users in Nigeria, at a media event held on 4th of December 2015 at the Four Points by Sheraton Lagos Hotel in Lagos, Nigeria. 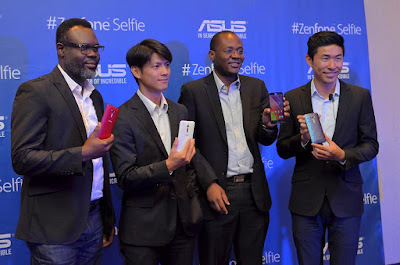 The ZenFome family of mobile phones that were launched include : ZenFone Selfie, ZenFone Laser 5.5, ZenFone Go 5.0, and ZenFone C 4.5, all with comprehensive camera solutions. The comprehensive camera solutions of ZenFone were demonstrated at the event. ZenMotion Touch Gesture allows users to open the front camera by simply drawing “S” on the ZenFone Selfie screen. The built-in beatification camera tool can make the skin smooth, change the skin tone, slim the chick, and enlarge the eyes on a click. As soon as the selfie is taken, the photo is shown on the laptop screen via ASUS ZenUI app – PC Link, which allows users to operate their phones from laptop. All the ZenFone models are equipped with ASUS PixelMaster technology; a unique ASUS-developed technology that combines software, hardware and optical design to deliver incredible image quality. ZenFone Selfie is the ultimate choice for selfies, with its twin 13MP PixelMaster cameras and a dual-color, dual-LED Real Tone flash at both front and rear. ZenFone Selfie also features the new multifaceted polygonal design aesthetic to the ZenFone, offering beauty and power in abundance. ZenFone Laser 5.5 includes laser auto-focus technology in its 13MP PixelMaster camera for clear, near-instant shots in just 0.3 seconds. ZenFone Go 5.0 and ZenFone C 4.5 are also equipped with PixelMaster camera for up to 400% brighter photo & video. All the photos taken by the ZenFones in the event are shared among each ZenFone instantly via ASUS Party Link app without consuming any data. The event ended with a group selfie including around 50 people in the photo thanks to the ZenFone’s wide angle camera technology. ZenFone Selfie (ZD551KL) is the ultimate choice for selfies, with itstwin 13MP PixelMaster cameras and a dual-color, dual-LED Real Tone flash at both front and rear plus laser auto-focus for ultra-fast shots with complete clarity. ZenFone Selfie’s rear camera is just as advanced, with a large f/2.0 aperture lens for superior low-light shots. Both cameras are engineered with five-prism Largan lenses and top-quality Toshiba sensors, and include dual-LED Real Tone flash technology for perfect illumination in any lighting conditions. ZenFone Selfie also delivers superb macro photography that works on subjects as close as 6cm, plus rear laser auto-focus to compose shots in the blink of an eye. ZenFone Selfie boasts an up to octa-core 64-bit Qualcomm® Snapdragon™ processor with 3GB RAM for unwavering performance and 4G/LTE connectivity with dual-SIM slots. 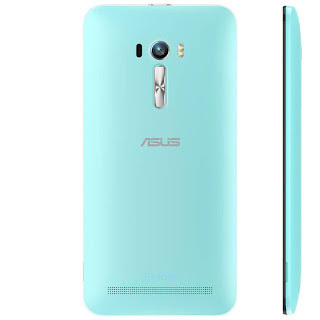 It runs Android 5.0 (Lollipop) OS and features internal memory of32GB, 5GB ASUS WebStorage free for Lifetime. 100 GB Google Drive storage free for 2 years. MicroSD card support up to 128GB. Display wise, it rocks 5.5 inches, Full HD 1920x1080/403 PPI, Scratch Resistant Corning® Glass with anti-fingerprint coating, Corning® Gorilla® Glass 4. I will share more images when I receive my free review copy of the ASUS ZenFone Selfie phone. 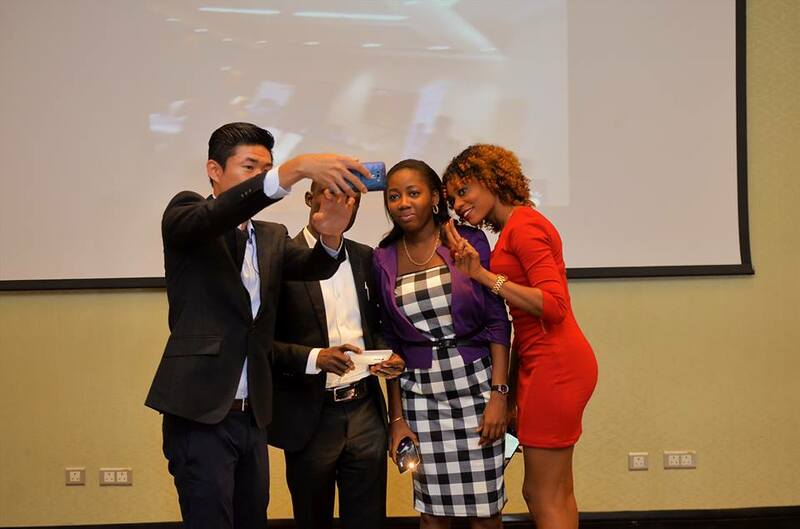 How Much is ZenFone Selfie Phone in Nigeria? 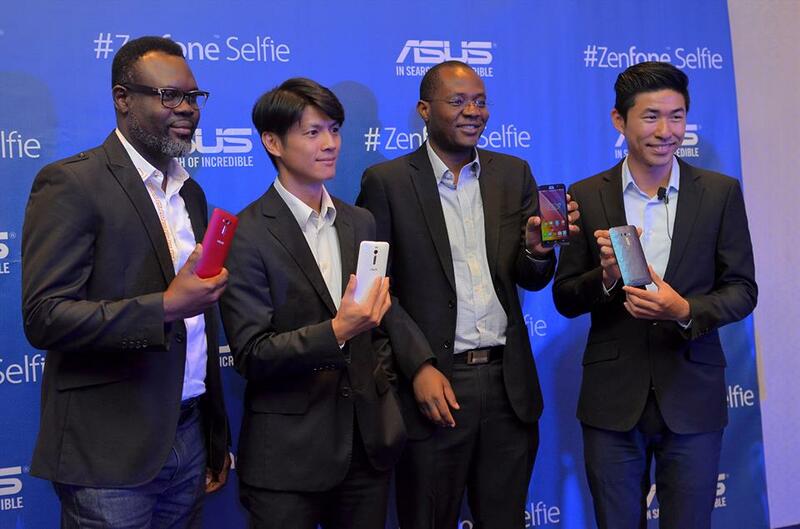 The ZenFone family will be available at Slot, Park N Shop, Konga, Genuss, Onyx, and Jumia from 12th December. ASUS is the No. 1 laptop brand in Europe and a worldwide top-three consumer laptop vendor. A leading enterprise in the new digital era, ASUS designs and manufactures products that perfectly meet the needs of today’s digital home and office, with a broad portfolio that includes motherboards, graphics cards,optical drives, displays, desktop and all-in-one PCs, notebooks, netbooks, servers, multimedia devices, wireless solutions, networking devices, tablets, smartphones and wearables. Driven by innovation and committed to quality, ASUS won 4,326 awards in 2014and is widely credited with revolutionizing the PC industry with its Eee PC™. ASUS has more than 13,600 employees around the globe with a world-class R&D team of 4,500 engineers. Company revenue for 2014 was approximately US$14.5 billion.